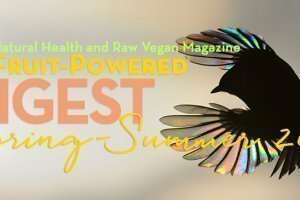 Note from Fruit-Powered Digest publisher and editor Brian Rossiter: I’ve been a huge fan of Uncle Harry’s Natural Products since I began using the Redmond, Washington-based company’s products in July 2015. I enjoyed the thoughtful, well-made, safe and affordable products so much I began to experiment with many of them, and now I keep a box full of my ever-evolving Uncle Harry’s Natural Products collection. I’ve recommended the company’s products to many. 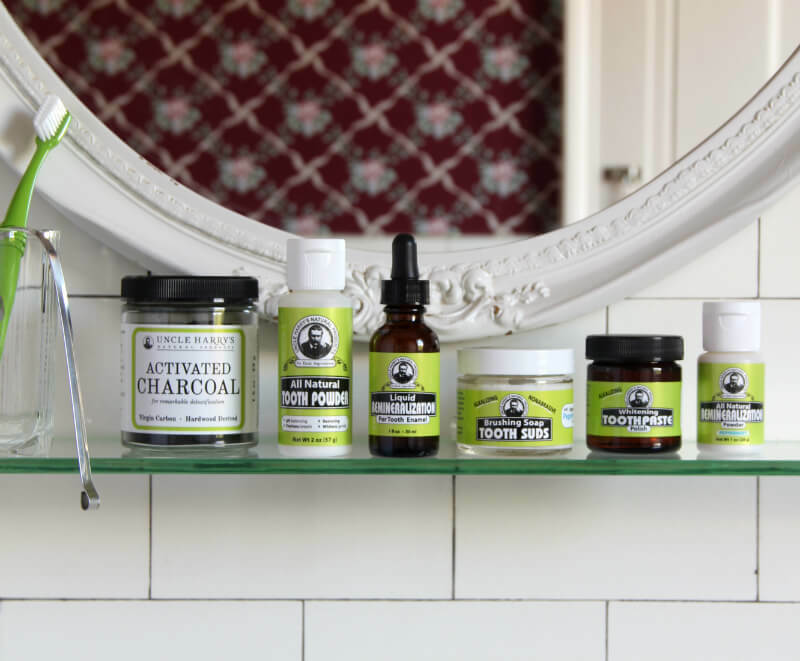 Enjoy this interview with Harry Terhanian, who founded Uncle Harry’s Natural Products and concocted its first-rate products. Follow Uncle Harry’s Natural Products on Facebook and Instagram. Take us back to the beginning. You’re in your dentist’s chair in 1989, and you hear that you have a bad case of periodontal disease. 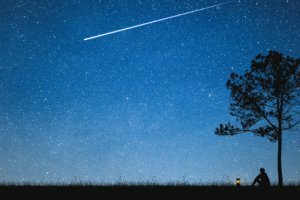 What happened next and how did this moment ultimately lead to the creation of what’s grown to become Uncle Harry’s Natural Products, a leading natural body-care products company? Eventually, the doctor comes in with some kind of stethoscope, and he looks like an FBI interrogator. And he has a stern look and a furrowed brow and gives you devastating news after having observed the X-rays. And you’re already in a vulnerable position, you know, horizontal, with the lights beaming on you, and here’s this guy. He looks like an extraterrestrial with his stethoscope, and he’s giving you devastating news. So, usually people in such a vulnerable position say: “Well, o-o-okay, fine. What do you suggest?” And he goes through a quick list of invasive strategies to straighten out the problems of your mouth—the gum problems, cavities, crooked teeth, chipped teeth, whatever there is. And then he sort of relieves the pressure by putting you in the upright position and tells you to go make an appointment with the receptionist. 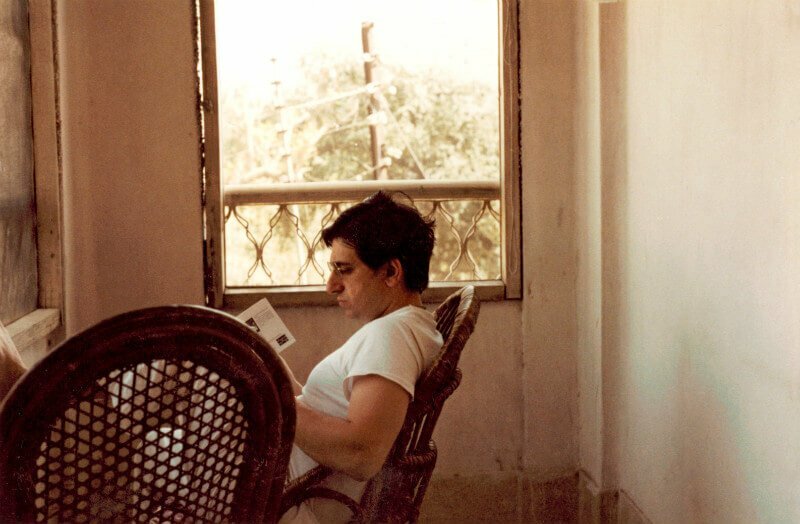 Uncle Harry’s Natural Products founder Harry Terhanian is photographed reading in his younger days. All photos contributed by Uncle Harry’s Natural Products. Well, after that harrowing experience, you go to the receptionist, and she’s got perfect teeth, and her first question is “Do you have insurance?” Obviously, the answer is no. Then she becomes a little bit worried and she says: “Well, that’s okay. We can work out a payment plan for you.” Then the next question is, “What is the estimate for the work?” But they don’t give you any definite amount; you just make the first appointment. Then you get this astounding estimate that is four or five figures. It was my own lack of personal attention that lead to this problem in the first place, and I was confused by the whole thing. “Why is there dental decay?” I wondered. I did some research. I had been to India four or five times by then, and I did have a spiritual mentor. I began to ask questions and look around. I found out my spiritual teacher was a pharmacist at one point in his life and had different formulas and recipes for natural-care products. He had a tooth powder formula he claimed saved his own teeth. So I looked into that. But at the same time, I was scared enough by the dentist to think that I should go along with his plan. And I did accept some kind of payment plan. And that was my fatal mistake. When I went along with it, the dentist started to alter my mouth and teeth in such a way that was irreversible. He put in bridges, did a root planning that was extremely painful and distressful. After all that, I regretted accepting the payment plan because the dentist really changed my mouth. You think that because a dentist has a degree from a prestigious university and a nice office that they must know what they’re doing. Basically, you voluntarily opened your mouth and let him stick drills and Novocain and all these other toxic substances in there. He alters your mouth in such a way that it can never come back to what it was before. For Harry Terhanian, a period in which he struggled with oral hygiene helped propel him to create some of the world’s finest dental health products, including Remineralization Liquid and All Natural Tooth Powder. 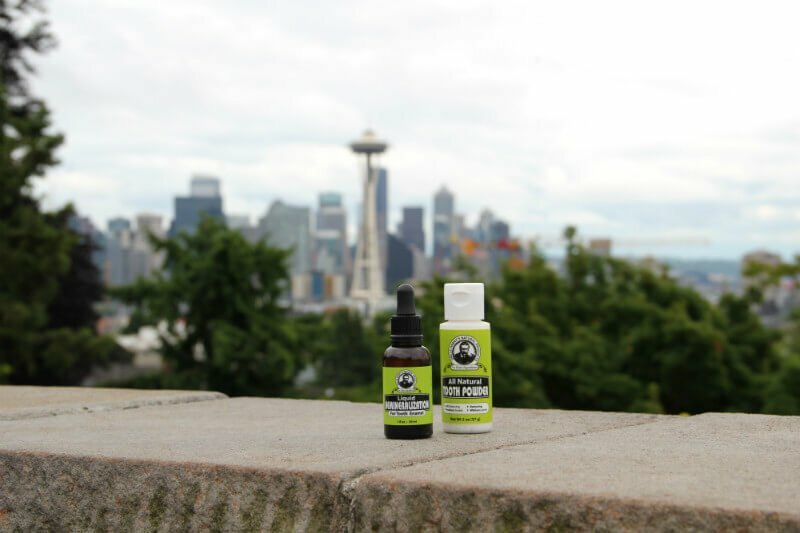 These Uncle Harry’s Natural Health products are photographed with the Space Needle in Seattle, Washington, in the background. Well, that’s not true. Often times, bridges and implants can fail. So I felt very discouraged after all that. And the roots of my gums started to fail again—becoming spongy and infected—and this really concerned me. So then I tried to look into what caused my gums to fail and different issues in the mouth. I realized after some research those problems aren’t necessarily caused by bacteria but by acid residue. There are different pHs in the body. For example, the saliva in the mouth is slightly alkaline, and that protects the teeth. But when one drinks a lot of fruit juices, sugar, coffee or tea, these drinks leave an acid residue in the mouth. And if one doesn’t do anything to neutralize it, the acid residue then attacks the enamel of the teeth. Eventually, the enamel wears down, beginning to disappear due to demineralization, and then you get cavities. This is something that isn’t explained by the dentist. They don’t really tell you what the cause is. They say bacteria, which isn’t the whole picture. Before all this, though, your strong connection to the earth was forged in France, where you started raising your family and launched a soap-making business. Discuss how you got going with this business and what it was like for you to put your dream of making earth-friendly natural products on hold when you moved to the United States? What year was this move in and what did you do for work when you moved to the States before launching Uncle Harry’s Natural Products? I had been selling incense and aromatherapy oils from India, but people kept suggesting I should do other things. So eventually I decided to expand into soap. Everybody needs soap! I started studying how to make soap and realized I was not a great chemist to make it from scratch, but I could buy ready-made soap. I found a company that sold used soap equipment, and they had small batch soap-making machines. You have a mixer, a grinder, an extruder and a stamping machine that stamps out the form of the soap. I couldn’t afford all that, so I tried to do it with just the mixer, the grinder and extruder. So then I got into selling what I called natural, raw soap. It took off like anything. Then I got into making bath balls. Which then led to a whole line of bath products. I had become very interested in aromatherapy in France and natural products and diet. I read a letter my teacher had written about his tooth powder. I studied and went around and interviewed people who had made the tooth powder with my teacher and eventually tweaked the formula a little to make it. So I came out with All Natural Tooth Powder. 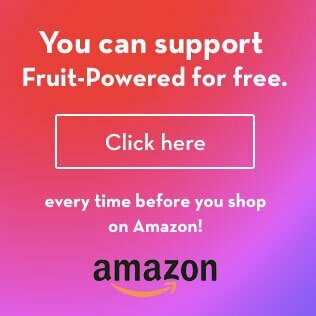 I went to different stores and sampled it and got feedback from people. 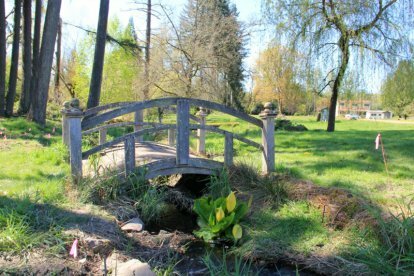 In the late 1980s, I moved to America and eventually started my eco-focused business. How many products does Uncle Harry’s Natural Products sell and for what uses? 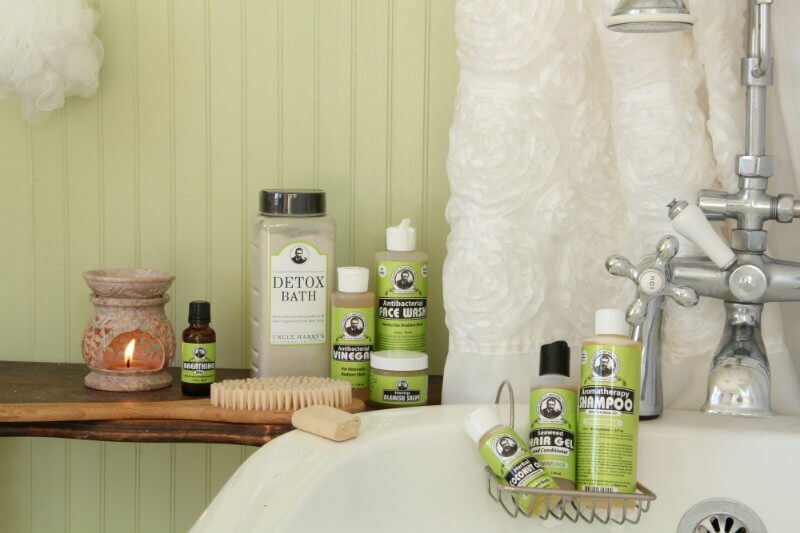 Uncle Harry’s has over 400 products, ranging in all sorts of body-care categories. The most popular is the mouth care because it is so unique. But I also offer products for skin, hair and body, with many items using aromatherapy and essential oils. The Uncle Harry’s Natural Products lineup of oral hygiene products is formidable. In my experience, these are best-in-class products. How many product formulations do you develop each year? Do you develop them all or is an Uncle Harry’s Natural Products team involved in these efforts? How does the company determine that a product should be made? I made all the formulations of all the products, which have had minor enhancements throughout the years. After much research, trial and error, I carefully made these recipes, drawing from the wisdom of ethnobotany and ancient healing. There was a period when I created several products a year, but then our catalog became too big! Nowadays, we are focusing more on what we do best: mouth care. Take me through the thought processes in formulating recipes. How do you start and how do you know when a formulation is finished? I’m fascinated in imagining how all this works! This is generally the basis of how I formulated my recipes. Anyone can do it. I come across a health problem, research what different cultures have used in the past and re-create it. 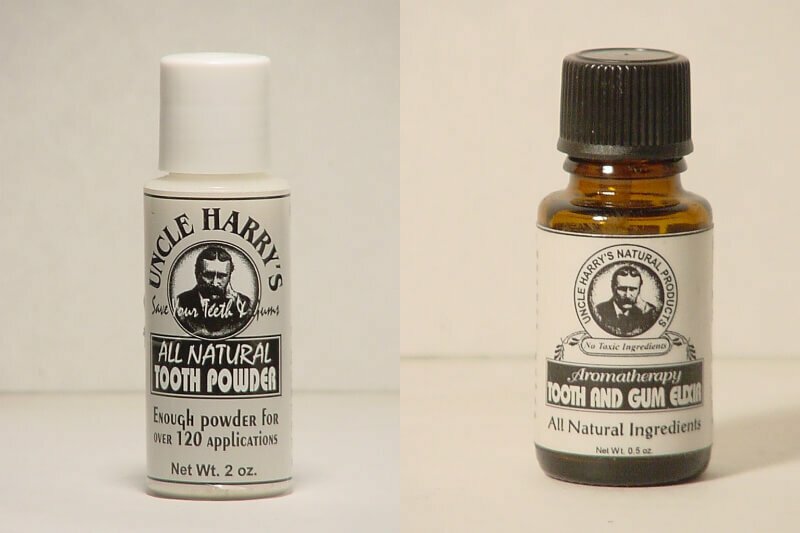 Uncle Harry’s Natural Products through the years: Photographed are vintage All Natural Tooth Powder and Tooth and Gum Elixir. Uncle Harry ticks off these products among the four he uses every day. What are the most popular Uncle Harry’s Natural Products items, based on customer sales and feedback? Are there any products you especially enjoy that haven’t caught on yet? The top sellers are mostly in the mouth care category—Peppermint and Spearmint Toothpastes. With natural products becoming so popular, people are looking for an alternative to chemicals. My tooth products are different from what is available on the market. One product that I would like to introduce to a greater audience is the Seaweed Capsules. I take a few every day. I refrain from miracle vitamin pills that promise replenishment of the body. Seaweed, which is harvested directly from the ocean, naturally contains all the nourishment that I’m looking for and is minimally processed. I have too many favorite products—from Soapless Shampoo and Body Wash, Antibacterial Face Wash and Jojoba Face Tonic to Spearmint Toothpaste, Whitening Toothpaste Polish and Remineralization Liquid—to ever pick a single favorite. But I have to ask you: Can you choose just one favorite product and, if not, what is your short list of favorites? Products I utilize daily are Tooth Powder, Tooth and Gum Elixir, Seaweed Capsules and Triphala Capsules. 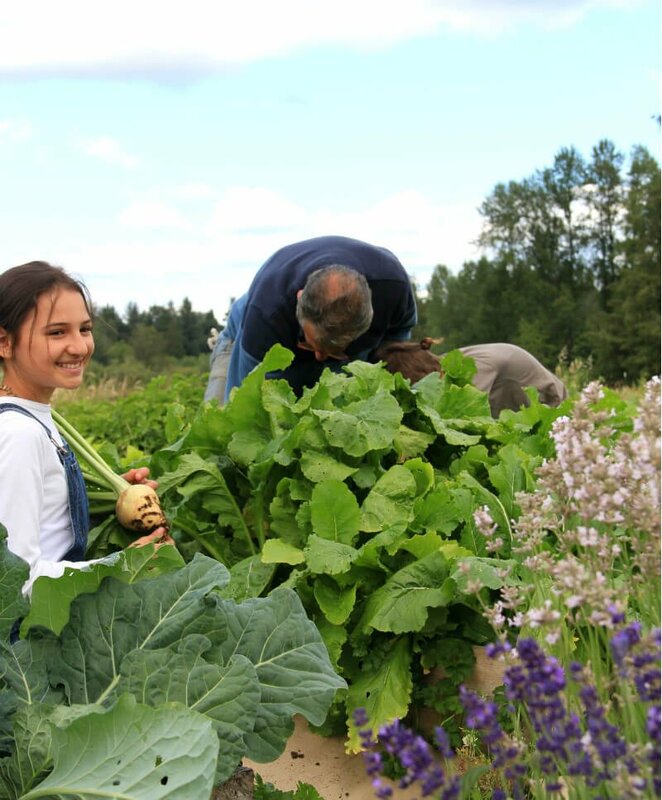 Uncle Harry’s Natural Products founder Harry Terhanian, granddaughter Yamuna and another work in the fields. 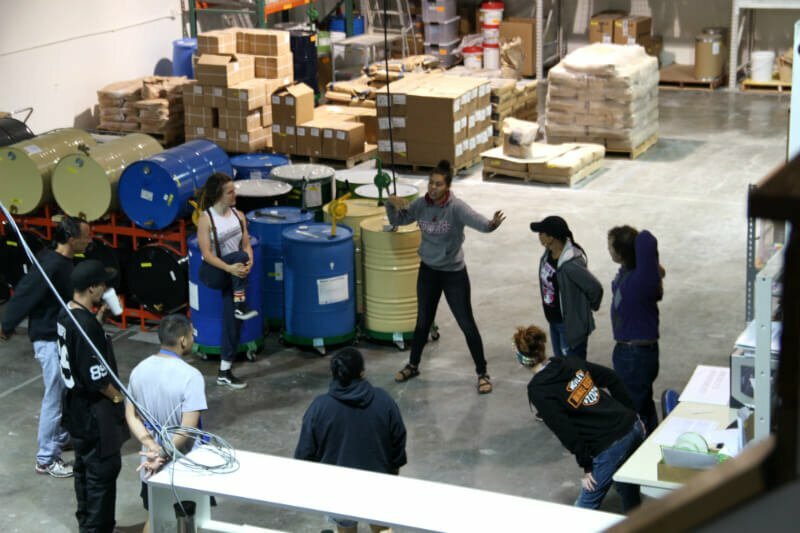 The Redmond-Washington, company relocated in 2016 to a larger facility and grows some of the plants used in making its natural body-care products. What is the most powerful ingredient across the entire Uncle Harry’s Natural Products line? Most of the tooth products contain pure sea salt. Sea salt is known for so many beneficial properties! Most importantly, it helps to neutralize the acids in the mouth and bring the pH level to a balance. There are minerals in the sea salt I use as well as natural preserving assistance. Many dentists suggest swishing sea salt with warm water after dental procedures as a way to cleanse the mouth. Many Fruit-Powered Digest readers enjoy an abundance of fruits and vegetables, with some nuts and seeds, as part of a low-fat raw food diet. Which Uncle Harry’s Natural Products in the oral hygiene line do you recommend—and can any help reverse tooth decay? I realized diet is probably the most fundamental thing that needs to be adjusted for healthy teeth and gums. It is important to respect the proper pH of the environment of the mouth, which has to be alkaline. I noticed also other parts of the body have different alkalinity. The blood is slightly alkaline. So coming back to my teeth, I realized I ate a lot of fruit. I’d drink different juices, but I didn’t drink coffee. I didn’t always rinse my teeth or brush my teeth after eating. Therefore, the lingering acidity was definitely a cause of decay. I would recommend daily use of Tooth Powder and Miracle Mouthwash to help neutralize the mouth after eating. I realized I could make not only my own alkaline tooth powder—in fact, all of my tooth products are alkaline to help maintain the proper alkalinity and saliva—also most of my tooth products do promote the excretion of saliva. Saliva is the No. 1 protective substance of the teeth. Saliva is slightly alkaline. But people who drink a lot of coffee, take medicines—drinking all that coffee acidifies the mouth environment and is probably dentists’ best friend. 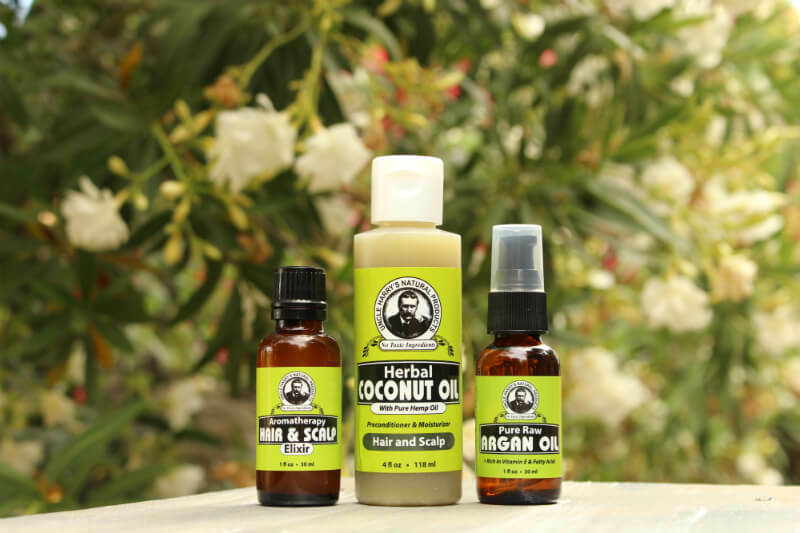 Uncle Harry’s Natural Products makes outstanding, powerful hair-care products. 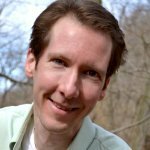 Your website offers some interesting articles, and I’d like to spotlight one on thinning hair and hair loss for any folks out there experiencing one or both of these issues. Talk about why some have these results and how your products can help. The skin and scalp are slightly acidic. There are different pHs in the body, and if one respects them, they can maintain bodily health. But due to poor dietary choices and if one doesn’t respect those pHs, you start to have problems. For this reason, many of my hair care products contain apple cider vinegar, which is mildly acidic. Using apple cider vinegar on the head helps restore the dull, alkaline scalp to its natural acidic pH level. This ingredient is the key! It’s in Hair & Scalp Elixir, Aromatherapy Shampoos, Seaweed Hair Gel, etc. 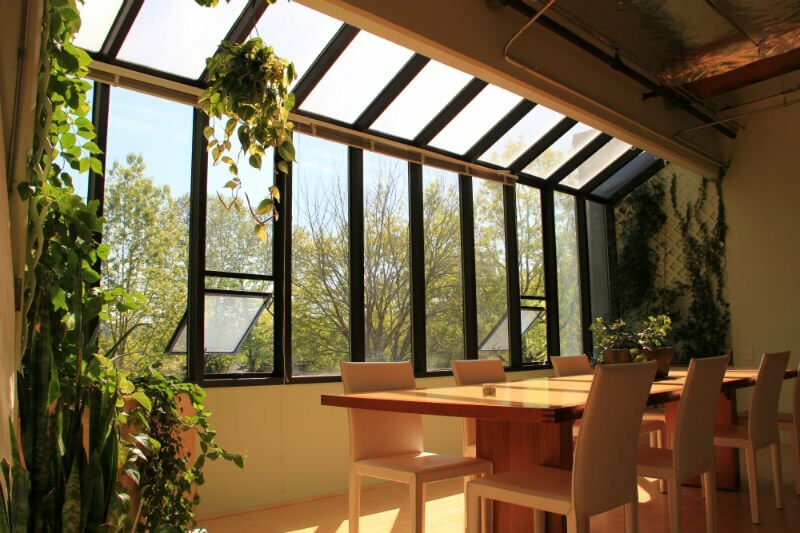 Based on images I see on your website, the Uncle Harry’s Natural Products building space looks extraordinary, and Uncle Harry’s “Urban Farmacy,” which opened in 2016, must represent something powerful to you. Talk about how all this came to be, especially in the wake of a fire that destroyed your family home and multiple land purchase attempts for a property after the 2008 economic collapse. What does your work space offer you and your staff? How does this work environment translate into products and customers’ experiences with your company? 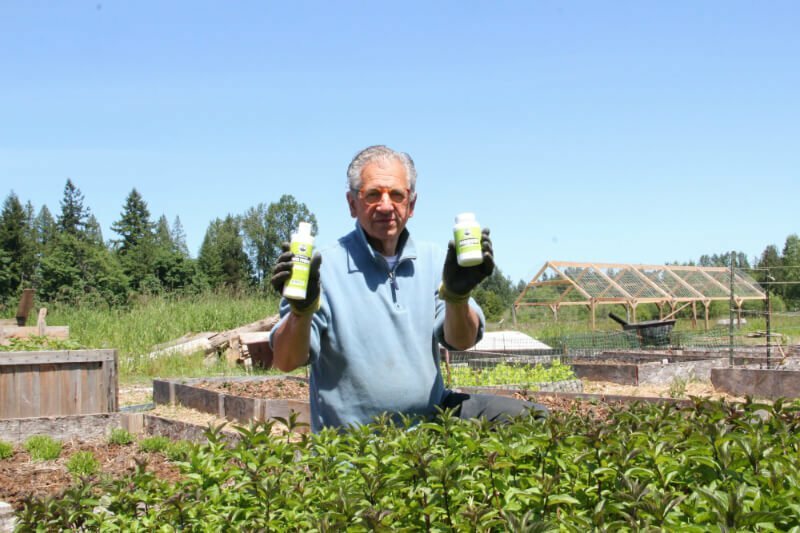 With Uncle Harry’s Natural Products growing, Harry Terhanian’s daughter Subi moved the company to a facility four times larger than its original location. With our business’s steady growth, my daughter Subi moved the business to a facility four times bigger, located just seconds away from the original facility. In 2016, Subi expanded the factory space to include a distribution facility that holds the inventory and shipping department. The daily operations are handled by her and about 20 fantastic, good-hearted employees. Now, Uncle Harry’s has better organization, record keeping, trained staff, accounting and internal operations. As a result, there’s better equipment for faster production, compliance of FDA regulations and luckily, profitability—meaning we are able to invest more back into the farm. What’s next for you and Uncle Harry’s Natural Products? At age 71, I’m happy to have my health, following a lifestyle of “simple living, high thinking.” Uncle Harry’s will remain a real family business, as my children continue running it. 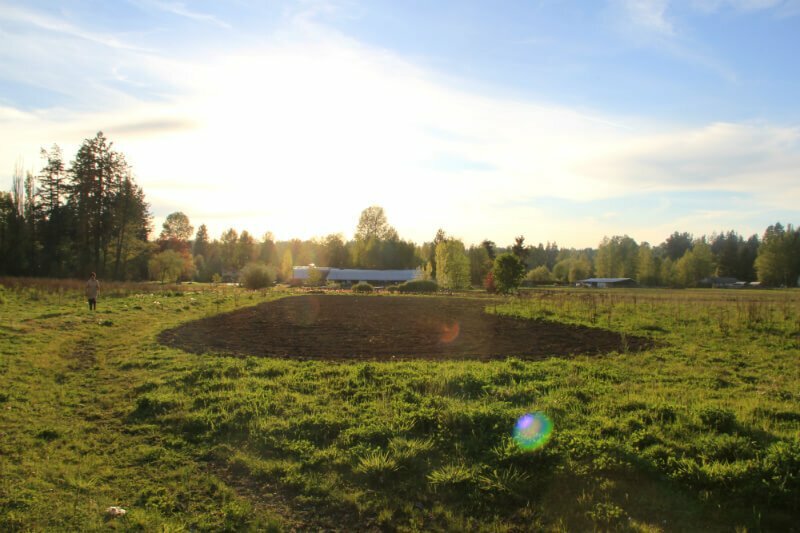 I invite anyone interested in our Urban Farmacy to keep up to date with us online. Thank you very much! Harry Terhanian, 71, holds two of his favorite products from his company’s line. With his daughters involved in the company Harry created, Uncle Harry’s Natural Products will remain a family business.